To live is to know regret and to live long means learning from that regret. That might sound especially bleak, but few if any of us ever get to know a perfect existence. So, until Elon Musk invents time travel or that YouTube time traveler shares his secrets the only way forward is, well, forward. However, it’s easier than ever before to simply stay stuck in neutral, technically living your life without actually engaging with it or learning from your regrets. If only the universe could slap us in the face and force us to change. Actually, there’s a trope for that: the “Groundhog Day Loop.” Just like its namesake movie, the “Loop” almost always involves someone reliving events on repeat until they ultimately learn how to solve a problem and/or become a better person thus negating the underlying cause of their mysterious time travel conundrum. According to TVTropes, this particularly storytelling device has appeared in nearly 30 movies and over 60 different TV shows, a bigger-than-you’d-think portion of them coming in just the past decade. Underscoring how familiar this has become is the following: As I was collecting my thoughts about Russian Doll and preparing this article I paused to finally binge the first season of Star Trek: Discovery. Guess what happens in the 7th episode, the whimsically titled “Magic to Make the Sanest Man Go Mad”? And you know what? It’s the best damn episode of the season to that point. To some, such a weird clustering of Groundhog Day knock-offs would seem like just the latest piece of evidence in the larger argument that Hollywood has run out of ideas. Which, sure. Only three of last year’s top 20 movies can be categorized as original or at least not a sequel/reboot/remake. However, not all sequels/reboots are bad and not all Groundhog Day knock-offs are wholly unoriginal. Some of them know just how to build off of everything Groundhog Day did right and add at least something new to the mix. Happy Death Day’s Jessica Rothe representing for all the quickly killed/discarded girls of slasher movies past. What can the sequel do with that? Finally, answer what actually caused the loop in the first place. Say, does her college’s campus have some kind of experimental particle accelerator? Can’t wait to find out. Use a perfectly designed mystery to hook the audience. (What’s causing the time loop?) Make sure every episode has a cliffhanger or game-changing revelation. (Spoiler: What do you mean Nadia isn’t the only one stuck in this loop? And what’s all this business with her having some kind of past trauma with her mom?) Maybe even place some of those big moments at the start of an episode instead of at the end just to keep the audience from settling too easily into your rhythms. Do that right and even the most resistant audience member might end up having binged four episodes in one sitting without even realizing it or totally meaning to. They just have to see what Nadia will do next, what gender norms she’ll continue to defy or suffer under, what self-destructive behavior she’ll continue to indulge until she finally doesn’t, and how this particular mystery ends. [Russian Doll]’s a perfect polished gem, a pure-hearted spacetime meditation that has more in common with Eternal Sunshine of the Spotless Mind than Groundhog Day. It’s about love and betrayal and forgiveness and gentrification. It’s recursive and affecting in ways Black Mirror: Bandersnatch wishes it could be. The mystery element is played up to such a degree as the show goes on, however, that some have been left disappointed with an ending that provides no concrete answers. If you’ve seen Groundhog Day you really shouldn’t be surprised. The “why” rarely ever truly matters in such stories; it’s about what the characters learn from the experience. Luckily in the case of Russian Doll, watching Nadia and [again, spoiler for anyone who hasn’t made it to episode 4] her fellow traveler grow into better human beings more responsive to those around them makes for a perfectly cathartic finale. 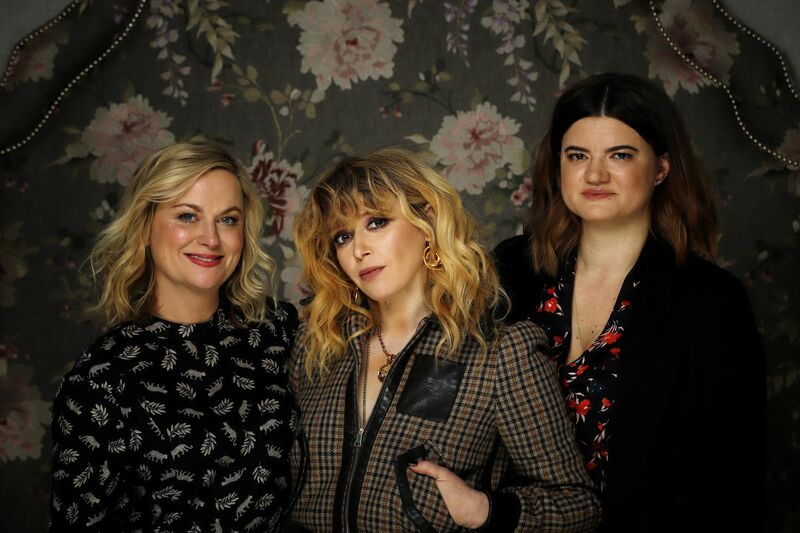 “What I want is for one person to feel a little less alone, and a little bit like they’re OK and it’s OK and you can keep showing up to fight another day,” Lyonne told The Hollywood Reporter on how to interpret her existential adventure. There are going to be those Happy Death Day and Russian Doll holdouts who continue to resist because once you’ve seen one “Groundhog Day Loop” you’ve seen them all. “Time loop episodes are too often viewed as just an exercise in box-ticking, or a fun gimmick with little consequence in terms of plot development,” Alasdair Stuart argued on Tor.com last year. He’s not wrong. It can just be a lazy trope rolled out because a filmmaker or TV showrunner recognizes an easily exploited formula. However, there’s something universally appealing about time travel to anyone who has ever wondered “what if?” about their life and placement in the world. Time loops get to do all of that while also functioning as fascinating character studies that also reward rewatch because don’t you want to pick up on the little hints you missed along the way? Russian Doll, in particular, has a LOT of that. Plus, I’m always a sucker for a time loop montage of characters just throwing caution to the wind and leaning into the fun of the situation. As I said at the start, to live is to know regret. I meant that in relation to the bigger things in life, but if you watch Russian Doll, that won’t add to your list of regrets. I promise. I just love seeing a time loop story come together. What about you? If you have watched Russian Doll at this point, what did you think? Let me know in the comments. I just finished Russian Doll and I really enjoyed it. I think the twists were done well in each episode and there was a lot of emotional depth too. I think I preferred the second half of the series but the whole thing was great, and I think unlike a lot of series because it was only eight 25 minute episodes there was no filler. The main characters becoming more humanised as the show went on was done perfectly without either of them completely changing their personalities. For a time loop show I felt it was extremely believable. I’m with you on preferring the second half of the season. Once Alan joins the cast the show turns from a pretty decent Groundhog Day impression to something far closer in spirit to Amazon’s Forever or The Good Place, and any of Nadia’s potentially annoying tendencies are offset by Alan’s relative calm (a calm barely containing his bubbling anger, of course). Watching their parallel journeys intersect and eventually become one is so satisfying that it is really crushing when the finale reveals they’ve broken out of Groundhog Day and into something closer to Sliding Doors. Really neat twist and eventually an emotionally satisfying conclusion.